On the whole, the final storage rule does not look significantly different from the proposal (aka the NOPR) released in late 2016. AEE was pleased that the Commission took seriously its comments on the NOPR, with over 25 references and citations of our comments included throughout the final rule. For example, FERC expanded the definition of energy storage based on AEE's concerns that it was too narrow. It now describes storage as “a resource capable of receiving electric energy from the grid and storing it for later injection of electricity back to the grid.” FERC did not include entirely behind-the-meter resources that do not inject energy back to the grid as storage for the purposes of this rule – unless RTOs opt to include these resources. Setting a Minimum Size: establish a minimum size requirement for participation in the RTO/ISO markets that does not exceed 100 kW. At the same time, the Commission announced a technical conference on DERs April 10-11. 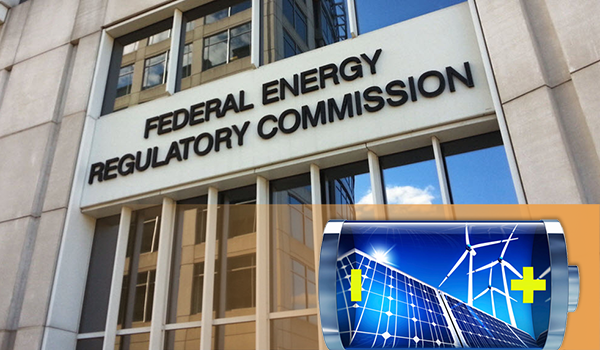 Although the Commission did not finalize the DER portion of the rule, a two-day technical conference shows real commitment on the part of FERC to explore and understand how aggregated DERs can and should play in the wholesale markets. Ideally, this technical conference will lead to a final rule from the Commission, as these events often do. The Commission has released an agenda for the conference and is currently seeking panelists. AEE views this storage order and the DER technical conference announcement as major wins for our industry. While we have a lengthy stakeholder process ahead, FERC have provided a pathway for energy storage to be compensated in the wholesale markets, taking down barriers to entry for new technologies. We look forward to working with FERC and the RTOs to ensure that advanced energy technologies have the chance to compete fairly in the wholesale markets.